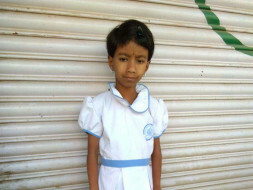 5-year-old Bhumika was born with a profound hearing loss. Her parents and relatives hoped she would start hearing as she grew up. As time passed, they realized the machines were not helping, and their baby girl needed surgery to listen to this world and understand it as everyone else did. "Bhumika was born with a hole in her heart. I guess we were so worried about her survival that we neglected to see what would happen to her whole life. 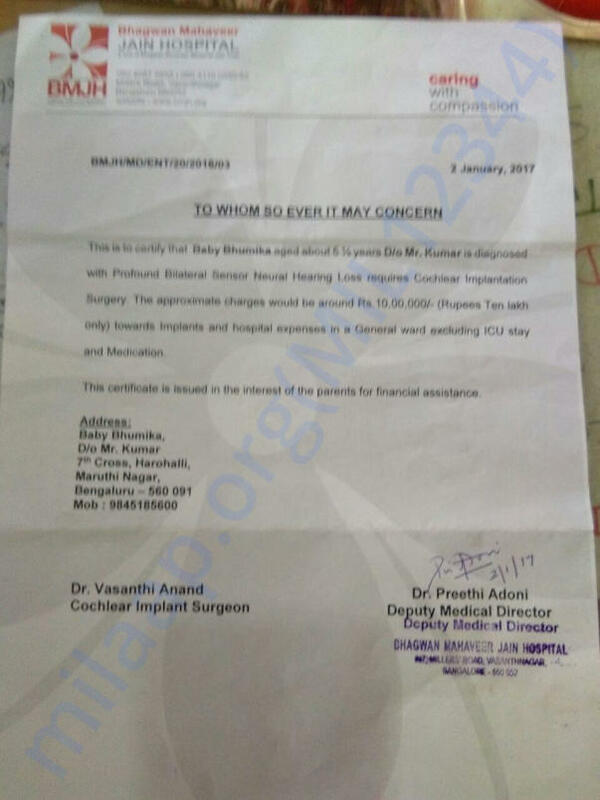 We spent a great deal on her medical expenses, and we do not have much now to give her the greatest gift any parent can give." Can you imagine losing your ability to hear or speak? This baby girl would have to grow up without both senses without a surgery that could open up the world to her. Help Bhumika hear for the first time. Contribute now. Get well our angel. God bless u.